Made in the USA, this luxurious leather business card holder offers elegance and storage for the stylish person on the go. 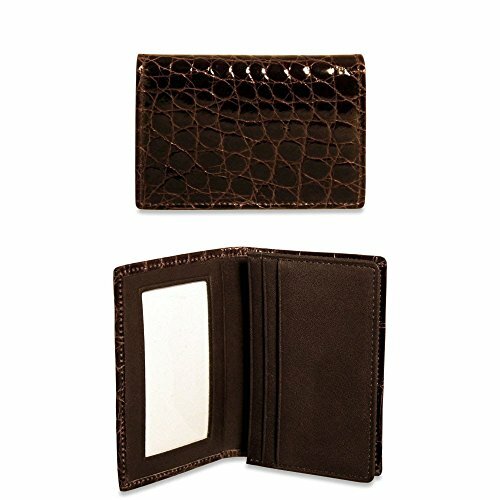 The American Alligator Business Card Holder is made from Louisiana Alligator skin that is buffed and polished for an elegant shine. Its sophisticated bi-fold design for organized storage of your credit cards or business cards. This card case has a flap front with a clear ID window in the flap, an accessible card pocket for folded cash, or business and credit cards. Carry this case in your pocket or your purse for everyday use.